Making healthy choices out on the road isn't always easy, but you can't let that stop you from changing for the better. Healthy Living not only helps manage weight and boost energy, but also reduces the risk of chronic diseases, improves your mood, and promotes better sleep; the road map to living a healthier more productive life. It's July again and that means there's no better time for a Barbecue!!! 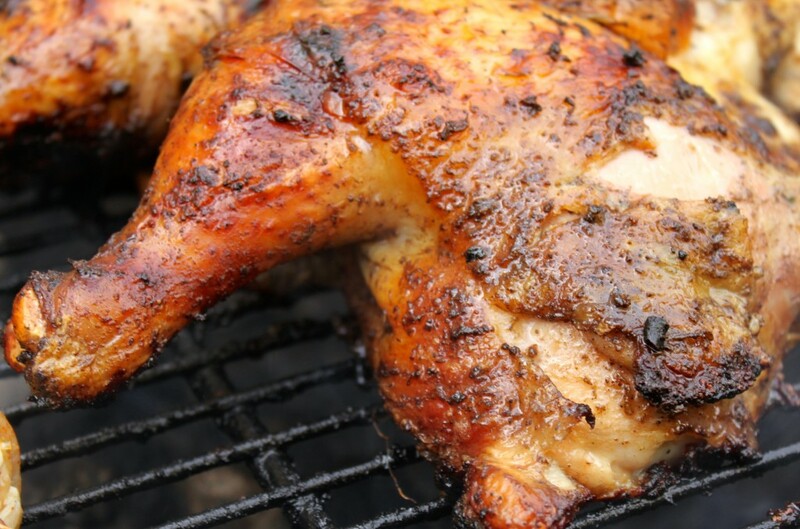 Give this Caribbean Jerk Chicken a try, it makes for the perfect bite after a long warm summer day! Start by setting 1 goal each day! ​Choose a variety of physical activities that you enjoy. Try different activities until you find the ones that feel right for you. ​​Limit the time spent watching T.V. or sitting at a computer during leisure time. ​Move yourself - use active transportation when possible. Whenever you can, walk, run, or bike, instead of taking a vehicle. Nothing raises your energy faster and more effectively than exercise. Research shows that exercise has a direct, immediate effect on energy. Even a moderate, brief exercise can increase the level of energy producing chemicals in your body. Studies show that, with moderate exercise, the mitochondria literally grow inside and become more efficient. This means that the more you move, the more energy your body creates. So, start moving! You'll feel so much better! Watching what, when and how much you eat! What? Limit sugary drinks and watch your caffeine intake. ​When? Aim for smaller meals every 4-5 hours. Don't wait until you're too hungry. Include healthy snacks to avoid over eating. ​How much? Talk to your doctor or do some research. ​Find out how many calories you should be eating and keep that track. Start a food journal, to easily monitor your habits. This will make you become more aware of your eating patterns. The 10 commandments of a healthy digestive system can be found at www.claimsecure.com. Click HERE to check these great tips! Here's a list of easy exercises that are perfect for out on the road! Try meditation and focus on your breathing. It helps calm the body and mind. Always focus on the present. Too much regretting and worrying about the past or future can lead to depression.